Actually it were two powerful earthquakes in Christchurch today. 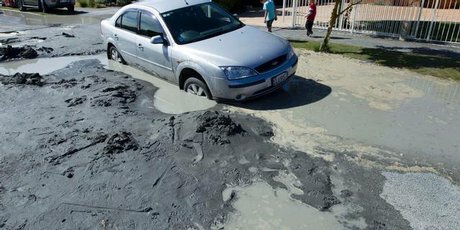 It happened less in a year from last large earthquake in Christchurch on February 22 this year. In this video possible to see what was happening. In case you are planning your travel to New Zealand, you should check what situation is in Christchurch area as it can be not safe to enter that area. Check this map www.christchurchquakemap.co.nz/today what is happening there right now. Wow, it does not look nice! I doesn’t. But it is not the first time, so I hope they will recover quickly. That simply describe that the earthquake was so dangerous. I hope they could recover easily. That place is one of the most peaceful for me.